Live an unforgettable experience, we want our foreign visitors to enjoy as if they were locals. Because this is the best way in our oppinion to enjoy this country. As Hemingway used to do. We go first to a winery. We start the season going to a winery and then to Pedraza and its fiesta de las Velas. And we also go on the second week end to the International concert of Country that there is in Riaza. 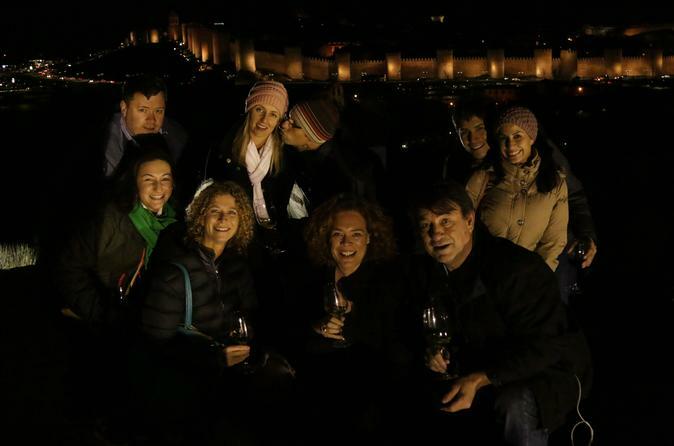 And then to enjoy Avila and its wonderful nights. We have also enjoyed a wonderful night harvest with a music concert in the winery. We have gone to the castle of Belmonte to enjoy the world medieval Championship We have been present when the conmemoration of how the world was divided into two countries as Portugal and Spain, 1494. And we pretend to go much further. We might jump into the fast speed train to experience the best of the best of this country that does not stop surprising to us. And we strongly believe that everything is more beautiful with a glass of wine in hand. Visit to a winery and tasting of its wines. We go to a city in "fiestas"